Час повторення! 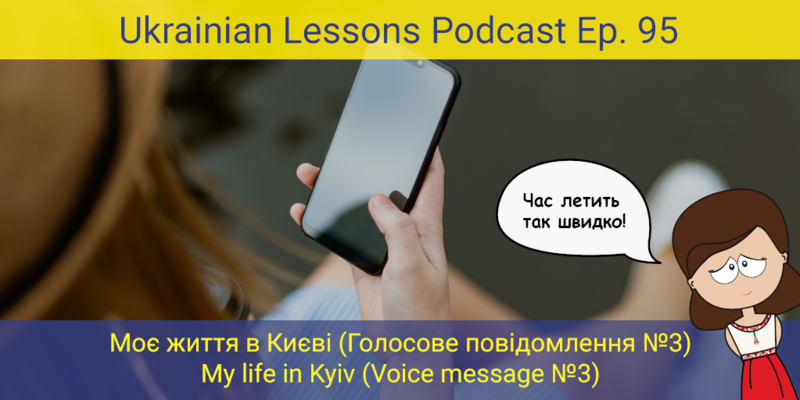 Listen to another voice message of Khrystyna to her mom in which she describes her life in Kyiv. At the same time, review the vocabulary from the previous episodes, practice your listening comprehension and get more practice of imperfective and perfective verb aspects. find out if you should bargain in Ukraine.